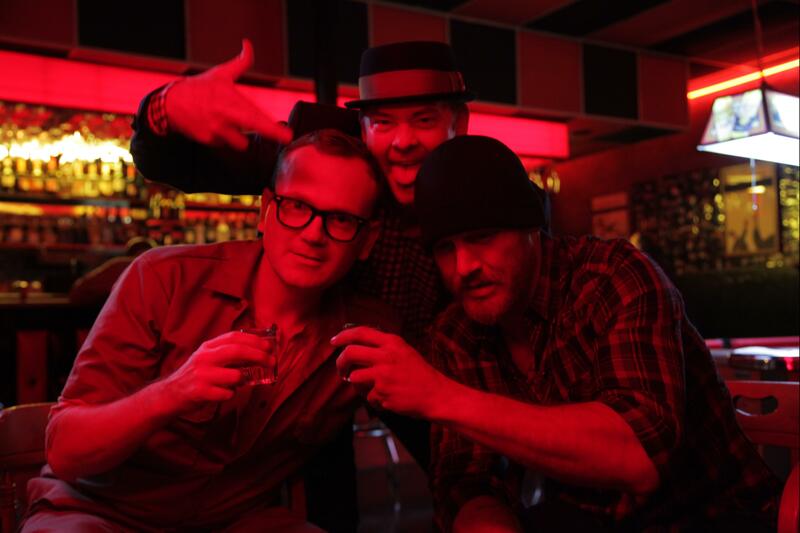 “Cheap Thrills” has a free screening in Madison at 7 p.m. Sunday, April 13 at the Union South Marquee Theatre, 1308 W. Dayton St. Director E.L. Katz and actor Pat Healy will be in attendance. R, 1:25, three and a half stars out of four. This review is based on a report I wrote from the 2013 Wisconsin Film Festival. “Cheap Thrills” is, first and foremost, a hell of a lot of fun, a raucous pressure cooker that dishes out laughs and shrieks with equal measure. I am a bit of a wuss when it comes to movies like this, but I walked out of a screening feeling like I had just put my tongue on a 9-volt battery. In a good way. Between last year’s “Compliance” (which he also brought to the Wisconsin Film Festival) and this year’s “Cheap Thrills,” actor Pat Healy is cornering the market on a special kind of horror movie. Sure, the two movies couldn’t be more different in tone. “Compliance” is a stomach-twisting moral nightmare in which a phone prankster convinces a fast-food manager to detain and abuse an employee. “Cheap Thrills,” which screened Saturday night, is a raucous pressure cooker that dishes out laughs and shrieks with equal measure. But at heart, both are horror movies. They’re just not horror movies that try to make us afraid of a vampire, or a serial killer, or some other evil entity out there. They try to make us afraid of ourselves, what good decent folks like us are capable of. “Compliance” played on our unthinking obedience to authority figures. “Cheap Thrills” makes us question what we would do for money, if we were desperate enough and there was no chance of anyone finding out. Craig (Healy) is plenty desperate. In a few deft strokes, essential for spelling out the stakes of the film, Katz shows us how Craig is in trouble; he’s got a wife and infant son in an apartment he’s about to be kicked out of, and just lost his job as an auto mechanic, a long step down from his failed dreams of being a writer. In a daze, he stumbles into a dive bar and meets Vince (Ethan Embry), an old high school buddy turned low-level enforcer. He’s tougher than Craig, but in his own way he’s just as desperate as Craig. And the a wealthy couple, Colin (David Koechner) and Violet (Sara Paxson) calls them over to their table. Colin is dropping $100 bills like they were about-to-expire Groupons, and buys round after round of expensive tequila. He suggests a friendly bet to Craig and Vince for $100. Then another friendly bet for $200. Eventually, they head back to the couple’s house. And the bets start getting a lot less friendly. As the dares get more and more depraved (and lucrative), “Cheap Thrills” gets more outrageous and more disgusting. But Katz and screenwriters Trent Haaga and David Chirchirillo, along with the foursome of actors, always keep track of the relationships among the four characters. Who wins one bet isn’t as important as how it strains the friendship between Vince and Craig, getting them to turn on each other. And how back-slapping Colin and the seemingly bored Violet manipulate them into vying for more and more money. The horror doesn’t come from what Colin offers them. It comes from Vince and Craig eagerly accepting, even low-balling each other for the opportunity to debase themselves. 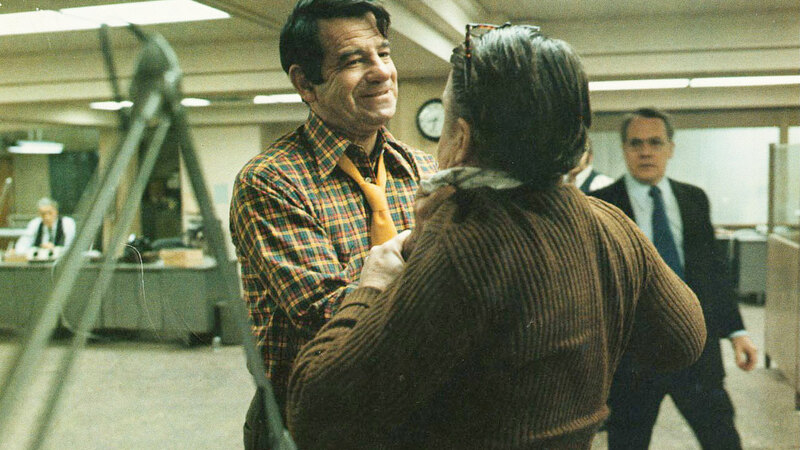 One of the most telling moments in the film comes, in the middle of some out-there dares, when Colin idly offers $300 to the first guy who can fix him a vodka tonic. Vince jumps at the chance, like an obsequious waiter, and Colin knows he has him. Vince just sold his dignity for $300. “Cheap Thrills” is all about what lines you’re willing to cross, and for what. The parallels are there to larger forces in American life, whether it’s reality television, or moneyed interests pitting one segment of the lower classes against the other (“Unions are ruining America!”) But the movie never overstates this, focusing on everyman Craig and his bizarre, bloody quest to bring home the bacon. Healy gives such a fearless and funny performance as Craig, and Embry draws lots of laughs as the tough guy who can’t believe how far his nerdy friend will go. Koechner, best known for big comic parts in “Anchorman” and on “Saturday Night Live,” brings just the right dose of menace and condescension beneath Colin’s jovial exterior — he’s like a sociopathic Bill Murray. Paxson, who also worked with Healy in “The Innkeepers,” is quietly unnerving, as Violet casually snaps away on her camera phone at all the mayhem. In the post-show Q&A, Healy said he really liked how the screenplay made every step Craig takes seem utterly believable, no matter how strange things get. Saturday’s screening was the Midwest premiere of the film, which opened last month at South by Southwest and was immediately snapped up for distribution by Alamo Drafthouse Films.